NOTE: Please use Mozilla Firefox and a laptop. I'm assuming that you know your SWA password, or the SWA Admin has given you instructions regarding your reset password. After you log in, please click on your name in the upper righthand corner of the page. Next, click on Change Password. 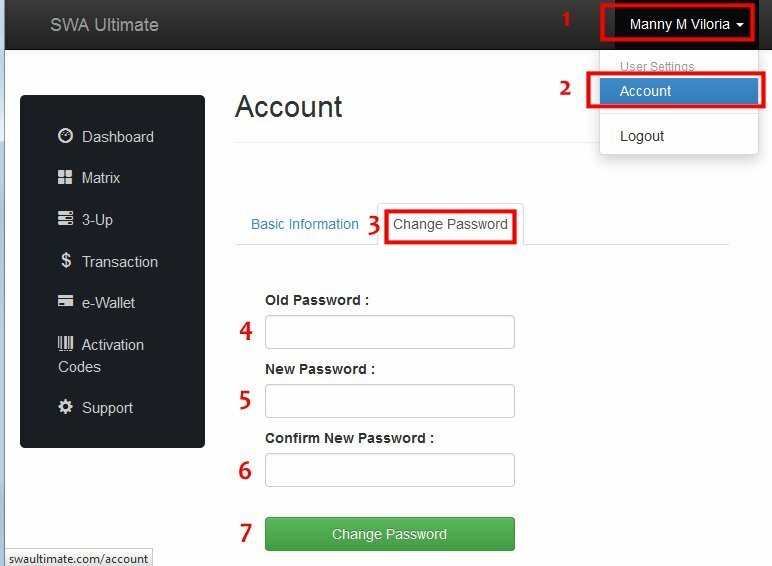 Re-type the password that you want, to confirm your new password. This also helps you avoid typos. Click on the Green "Change Password" button.